Many experiments created for humans require the participant to interact with a graphical user interface (GUI). These GUIs are the computer based displays that are presented to the participant and are often the most difficult part to program for any experiment. This layer of complexity is often overlooked by those used to physical interfaces (for example, levels, micro-switches, lights, and other miscellaneous lab equipment), and the GUI is often a barrier to human research. Due to the difficulty of their creation, GUIs used in research are often functional but basic and may cause a decrease in the level of engagement by the participant. This then leads to other issues such as experimental fatigue and a lack of interest in returning for additional testing. …these programs were primarily designed to make video games. However, the core of every video game is a GUI that accepts inputs from the user and then reacts according to the contingencies that it was programmed with, and this is exactly what is needed for experimentation. One way to bypass this problem is to design experiments using utilities that place emphasis on the GUI first and the experimental parameters second. There are multiple programs that fill this role and I will focus on only two of many possible options that I have personal experience with. These two programs are the Unreal Engine and RPG Maker XV Ace. As those of you who are familiar with the name Unreal and the term RPG have probably guessed, these programs were primarily designed to make video games. However, the core of every video game is a GUI that accepts inputs from the user and then reacts according to the contingencies that it was programmed with, and this is exactly what is needed for experimentation. Because of their basic function, the editors provided with these programs allow the researcher to easily create a GUI that suits their needs and instead focus on programing the experimental contingencies. …the editors provided with these programs allow the researcher to easily create a GUI that suits their needs and instead focus on programing the experimental contingencies. RPG Maker XV Ace is marketed as a program that is simple enough for beginners but flexible enough for advanced programmers. It can be used to create two dimensional displays that can be turned into functional experiments. However, these basic environments require the user to control an onscreen avatar; more advanced coding is required to produce a mouse controlled experiment. It is possible to remove the avatar and replace it with a keyboard control scheme; however, that also requires some advanced knowledge of coding. Thankfully, there is a large community of programmers who use RPG Maker XV Ace, so simple Internet searches often produce examples of the code that is required. There are also video tutorials available for those interested in learning how to use the program. My personal experience with [RPG Maker XV Ace] has allowed me to quickly create basic choice experiments that I can place on a portable memory stick and use with any windows based PC. My personal experience with the program has allowed me to quickly create basic choice experiments that I can place on a portable memory stick and use with any windows based PC. Trial versions of RPG Maker XV Ace can be found online for those interested in the program; however, the full version is required for the custom coding necessary for experimentation. The Unreal Engine is currently free to all who are interested in programming with it. The only requirement is that the user pays royalties to the company if they create programs for commercial release. 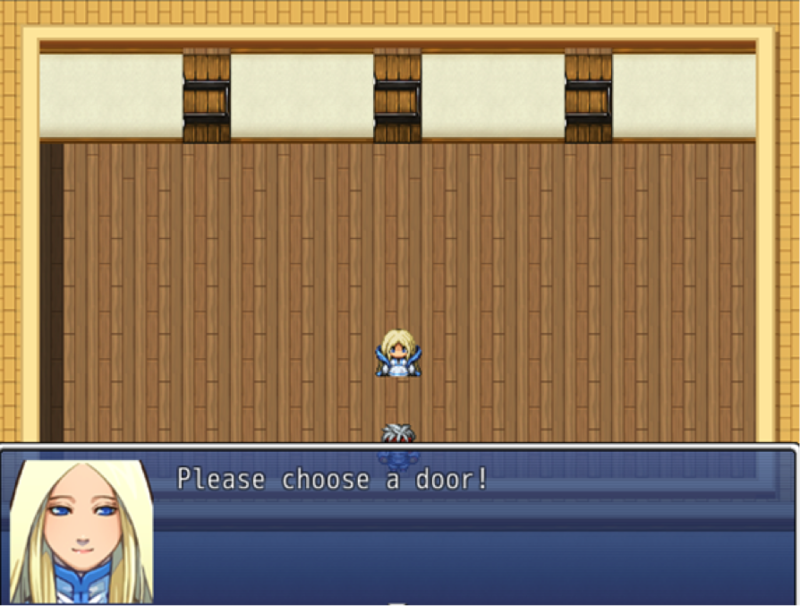 The program is far more powerful than RPG Maker but also has a steep learning curve associated with it. However, there is also a large community of programmers and plenty of video tutorials available for those who wish to learn. One advantage of Unreal Engine is that it provides many templates for the programmer to start with. You can use the puzzle template to program a simple experiment that requires button pressing, the 2D template to create an experiment with an avatar like RPG Maker, or even create a full three dimensional environment for the participant to interact with. The mouse control systems are built into the program, meaning that it is much easier to create experiments that use the mouse. 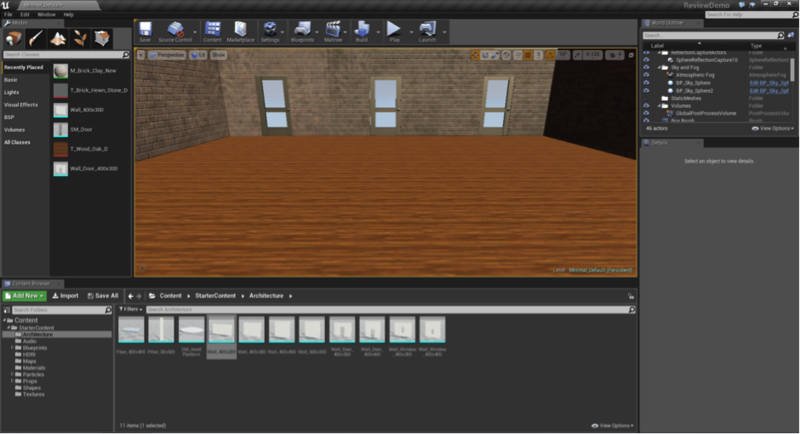 The developers of Unreal Engine have also included a visual scripting tool called Blueprint that allows the programmer to visualize the connection between the objects in their GUI and the contingencies arranged in their experiment. I have found in my own experience with [The Unreal Engine] that it takes time to get used to controlling the editor and that it required a several hours of watching the video tutorials before I felt confident that I could create my own experiments. With that said, Unreal Engine provides many options for programmers who have the patience to learn the how to use the toolset. I have found in my own experience with the program that it takes time to get used to controlling the editor and that it required a several hours of watching the video tutorials before I felt confident that I could create my own experiments. With that said, Unreal Engine provides many options for programmers who have the patience to learn the how to use the toolset. RPG Maker and the Unreal Engine are just two examples of several utilities that are available for programming videogames that can also produce experiments or even learning tools. A quick Internet search will provide the user with many examples of software that are designed for this same purpose. People who are interest in creating engaging GUIs for experiments or other purposes should have a look for themselves. I have focused on these two examples due to personal experience, and have found them both useful for my own purposes. Joshua Bensemann is currently in the final stages of a PhD at the University of Auckland, New Zealand, where he has focused on choice behavior with non-humans. Aside from that he has an interest in human basic research as well as using computers to both model and simulate behavior. I am a graduate student and behavioral researcher at The University of New Mexico and really like using Unreal Engine. This is actually the first post that has mentioned’s its use for psychologists/behaviorists. A few things that you did not mention is that there are a variety of plugins that are very useful. Victory Plugin is excellent for saving data for events during the game/task in txt file. Also, there are plugins to contact other devices i.e. Aruduino for developing custom controllers and stimuli. Visual scripting can be a bit slower than coding line by line but offers superiority in terms of debugging scripts which is a huge bonus when developing tasks that involve complex gameplay/logic. I had no idea about RPG Maker XV Ace. Thanks for the tips.